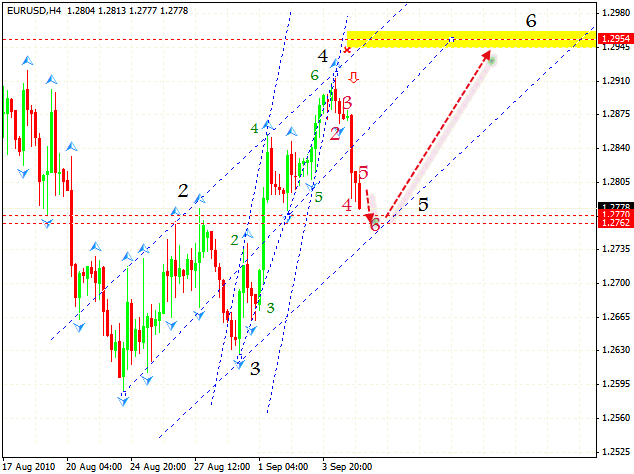 The EUR/USD currency pair is moving according to the forecast; the price has reached the target area of 1.2770. From here we can expect a final wave of growth of the whole rising pattern. To find the point of entry, we should turn to shorter periods of time. 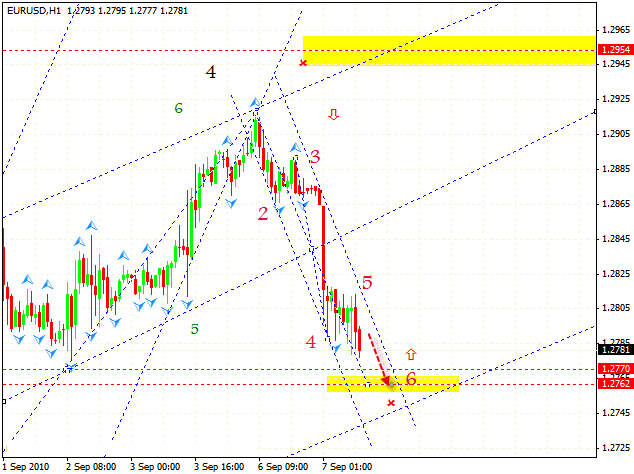 At the H1 online currency trading chart we can see the formation of the descending pattern with the target of 1.2762. One can try to buy the pair only when the price leaves the channel. Stop should be below the local minimum. Franc continues to fall. 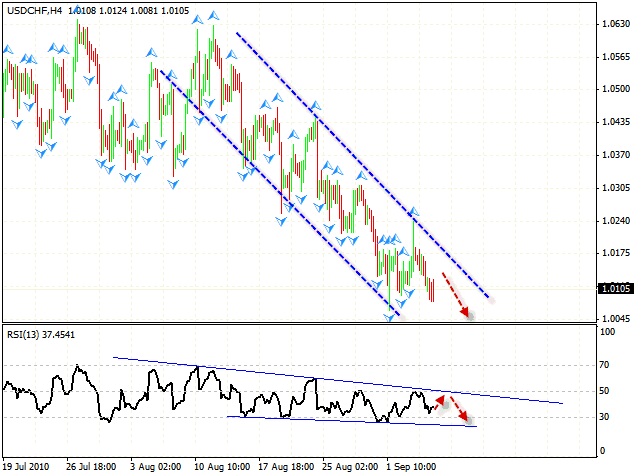 The price is moving in the descending channel and the RSI indicator shows us the “triangle” forming. Probably we will see one more test of the “triangle’s” upper side. One should expect further fall of the rate, any type of the pair correction should be regarded as a good opportunity for sales. 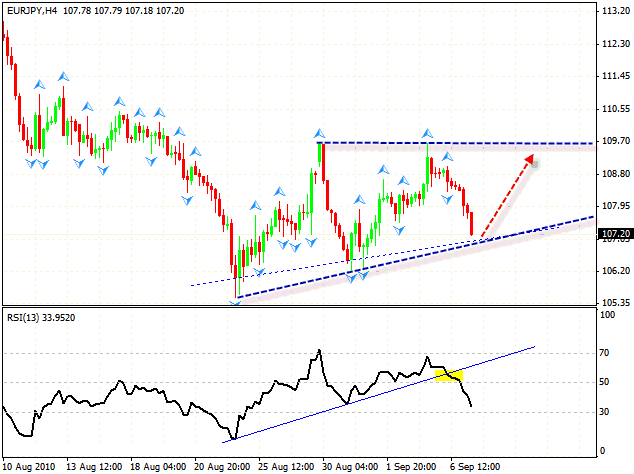 The EUR/JPY currency pair has reached the specified targets; we recommend you to stop selling the pair. At the moment the price is testing the line of the rising trend, and, in general, the pattern looks like a “rising triangle”, which is, as a rule, broken upwards. One can try to buy from the lower border; in case the “triangle” is broken we can increase the amount of the long positions.